WOMEN EVERYWHERE AGREE ... THE NEW PONTIAC SIX IS THE MOST BEAUTIFUL THING ON WHEELS! Tag Line WOMEN EVERYWHERE AGREE ... 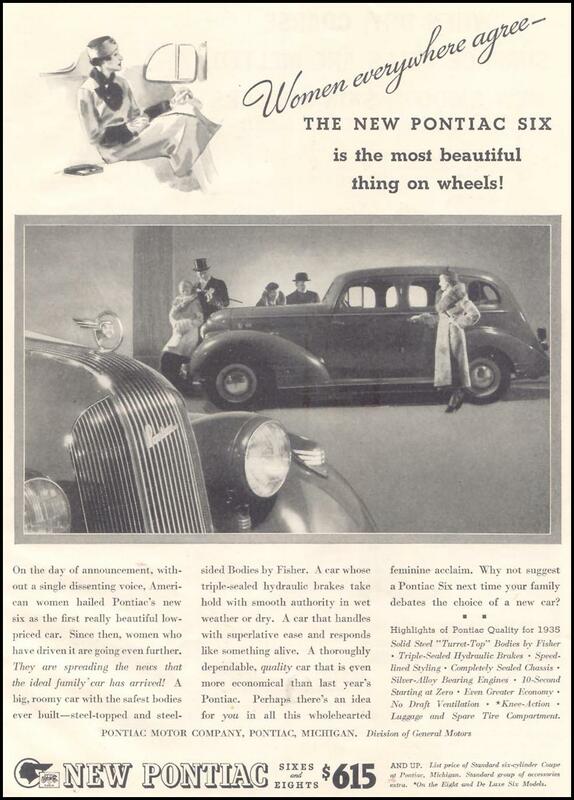 THE NEW PONTIAC SIX IS THE MOST BEAUTIFUL THING ON WHEELS!